Are you looking for marketing ideas for your plumbing business? Most plumbers often have a hard time whenever they think of marketing ideas and strategies for their business. Most of them are also too busy serving their customers, which gives them little or no time to do the marketing on their own. While marketing is essential in any business, most plumbers don’t realize that they require these services until when the well starts running dry. And for those who know how vital a great marketing strategy is for their business, most of them are too busy or feel like they don’t have enough ideas. 1 That’s why we compiled a list of 21 effective marketing strategies for your plumbing business. 1.12 12. Include pamphlets and coupons in community publications. 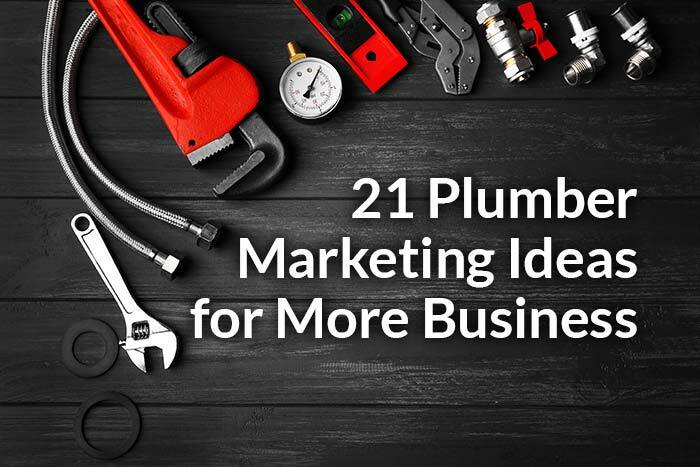 That’s why we compiled a list of 21 effective marketing strategies for your plumbing business. Every great adventure starts with a plan. Marketing any product or service is not an easy job, but if you come up with the right plan for your marketing, the entire process becomes more comfortable. Successful companies know the importance and power of marketing and approach the market with well-structured strategies. These companies also invest a lot of time and resources in marketing because the industry changes on a daily basis, and to stay ahead of your competition you need to keep updating your strategies. 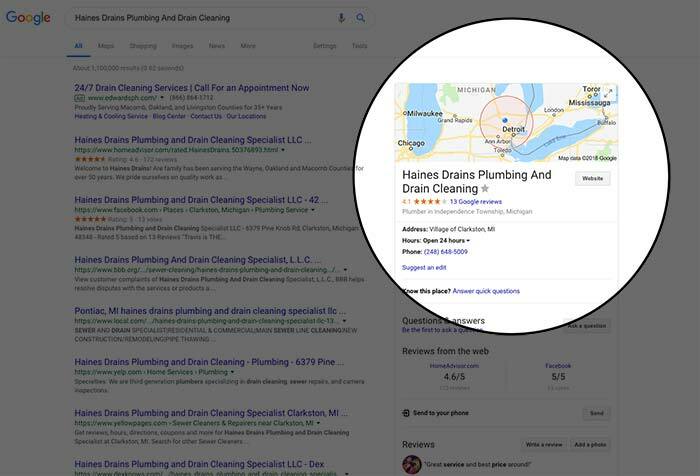 The plumbing marketing industry is no longer about putting more prominent ads in the Yellow Pages and getting clients; it’s more of exploring the latest strategies and techniques. Building a website for your plumbing business will not only improve your visibility to your potential customers but also make them consider you as a more reliable service provider. Get an expert to design your website if you have no idea of doing it by yourself. On the site, post all the information regarding the services rendered by your plumbing company, your portfolio, your contacts, location and even testimonials of satisfied clients. You can also include how much experience you have, what makes you unique, promotions and your working style. Also, remember to have a blog where you can make blog posts and tips on plumbing. 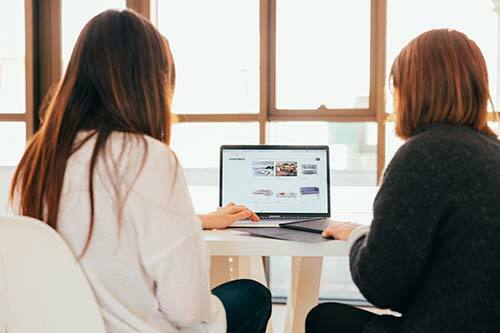 Educative plumbing blog posts will create an incredible connection between your company and customers. Your phone number is at the top of the site, is visible, and if someone is viewing the site on their mobile device, make sure it will initiate a call when clicked on. Once your website is complete, get it analyzed by a Search Engine Optimization specialist. An SEO specialist will examine if your site has the required keywords to make it rank better in search engines. SEO optimization is not just about keywords. SEO optimization involves more complex techniques that can only be done correctly by SEO experts. Keep in mind that there are 2 types of SEO. There is onsite SEO which make sure your site is as optimized as possible for the search engines to find. This is usually a one time thing that you will need to have done. Then there is offsite SEO which gets your information out on the web and creates links back to your site from relevant sources. For instance, guest posting on another plumbing related site for instance. Listing your business online on popular directories including yellow pages, Yelp and Facebook is an excellent way of advertising your business to more people. One place you definitely want to make sure you are listed is Google My Business, which is a free listing. Also remember to list your plumbing on business on several plumber directories, e.g. MyZipPlumbers and any other directories that have listings on home services. Another benefit of listing your business online is that these listings boost your search engine rankings because Google finds more sources that mention your business. You can choose to do the listings manually or by using an automated listings service. A potential customer visited your site. He or she went through your services and the about us section on your website. What next? What will you do to make the customer stay on your site and take action? What will make the visitor feel essential and wanted? Having a customer follow-up system on your website can help to do that. Examples of this might be as simple as having a contact form on your site or a PDF to download that forces the person to give you their email address in exchange for the information. This is how you can use a customer follow up system to increase the number of clients for your plumbing business. Remember that all these things mentioned above cannot happen in one day. You’ll need a lot of consistency in your blogs to drive customers to your website. Attending local events including trade shows, festivals, and trade fairs is a great way to give your business some exposure. Consider reserving some booth space to represent your brand. Booth space will provide you with a chance of meeting and mingling with your potential clients. Networking events are also important. Meeting with experts in your niche is an excellent way of making new friends while at the same time generating leads. A quick google or Facebook search will help you find networking and local events in your area. The sooner you start doing attending them, the better. We have received and given lots of referrals in places like BNI or other small business networking groups as well as Chamber of Commerce meetings. Look for company meetup nights to mingle and talk with other local businesses. You can share advertising costs with a related business in the same market. Cost sharing will cut down advertisement costs while at the same time giving you excellent quality advertising materials and a broader market compared when you do the marketing alone. You can even come up with a joint banner or a jointly sponsored ad on social media with links that direct users to each type of business. Many business do this with direct mailing, billboards, business cards and other expensive forms of advertising. Just make sure both businesses are a good match for eachother and make sense to advertise together. Email marketing is another beautiful way to keep your existing customers aware of your services. Make sure the content sent to your audience is compelling enough. Once you start posting irrelevant content to your audience, they will get annoyed which might result in losing your potential audience. The material sent should touch on some relevant topics that relate to your customers. If you’re approaching the holiday season, you can send your clients something related, e.g. offers and safety tips. Don’t throw your emails just for the sake of addressing them. You don’t have to send them emails even if you don’t have relevant information for them. In case you don’t have something meaningful to say, do not say anything at all. Remember to market your business in the email by including a customer referral program. 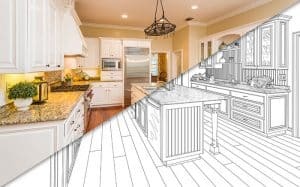 Give your customers a bonus on their next plumbing project for every new client they bring on board. There are a lot of great services out there that are very easy to use. Consider sites like MailChimp, Constant Contact and HubSpot and stay away from shady cheaper services. If you have a smartphone or a computer, you can use social media platforms to advertise your plumbing business. The likes, shares, tweets, re-tweets, and comments on Twitter, Facebook, and YouTube can help you reach out to more people out there and let them know about the services you offer. Social media is an excellent plumber advertising tool. With social media, you can create pages for your plumbing business where you can share your blog posts and service promotions. If you can use social media to demonstrate your credibility and expertise better than your competitors, your clients will always come running to you in case of any plumbing needs. Making Posts on how to fix common plumbing problems on YouTube, Twitter and Facebook are good examples of using the social media platform effectively. Social media marketing will always set you a step ahead of your competitors. If you don’t have the time to be consistent with your social media marketing, consider using a tool like Buffer or Hootsuite so you can schedule your content for days, weeks, or even months at a time. Come up with an Eye-Catching Logo and Slogans for your business. Most consumers subconsciously associate logos and slogans with their companies. 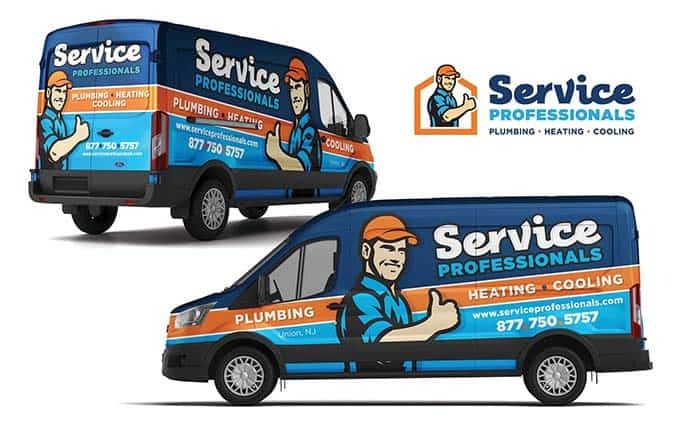 A plumbing business with a memorable slogan and a logo that stands out will be considered reliable than a company that has neither a logo no a slogan. You can also use your personal and business vehicles as advertising platforms. Brand them with your contact information, logo, and slogan, on the sides and back of your cars. Remember to use very few words to drive the point home when promoting your business by branding. Also, make sure that the images and lettering are large enough in a way that passers-by and motorists can read your contact information form some distance. When your potential customers have a plumbing issue, they will contact you right away since your number can be easily accessed. Distribute brochures and service promotions to offices, public places, residential and even commercial apartments. Try your best to get as many business partnerships with studios and offices as you can, as these connections can grow into long-term growth opportunities. Since these are large clients, consider offering them price discounts. These discount will keep them coming back for more services from you. Using a company like Vista Print or Overnight Prints can be simple and very cost effective. 12. Include pamphlets and coupons in community publications. Take advantage of business opportunities that come your way, e.g. placing promotion material in community publications, e.g. coupon books vended by direct marketing companies and youth organizations like sports teams and Scout troops. This will not only enhance your advertising exposure but also benefit your business through the publication’s reputable delivery system. When individuals get plumbing emergencies, they don’t generally log into the web and start looking for plumbers since most of them don’t have time for that. To keep your brand name ringing in their minds, you need to have your pamphlet and brochures everywhere. This will make sure that your number gets called instead of your rival’s number. If you want potential clients to know of your services, having a good quality postcard mailed to them can be a great way to make that happen. Ensure your mail cards have attractive graphics, with bold and big prices, and you may end up having your postcard saved for future needs. Even if the clients decide to dispose of your letter, you’d still have made them aware of your company and the services you offer. Making short DIY guides on how to fix or avoid common plumbing problem is also a useful marketing tool. Nowadays, most People tend to turn to the internet whenever they need quick fixes to their plumbing problems. When a potential customer visits your site frequently, give them a free DIY video or pdf. At the beginning of the video or pdf, include your name, address, contacts, and website. This is an excellent way of giving your audience a good first impression, and if the users share the DIY guides with their friends and workmates, you will have achieved getting a free promotional advertising network for your plumber business. Make high-quality videos on how you fix different plumbing problems, what are the effects of not fix a plumbing problem quickly and how one can fix simple plumbing problems. Edit the plumbing video and post it on video platforms including YouTube, Vimeo etc. Also post the links on your blogs, Facebook, Twitter, and even your mail list. This video will show how professional your plumbing business is and your customers will have an idea of what to expect whenever they’re hiring you. You can update your company’s profile on your website and advertising material by including your face and faces of your employees in the about us section. Giving your clients a look to think about improves their level of trust and helps them to relate better to your plumbing business. That’s why videos are growing in popularity when it comes to marketing small businesses. After completing a project, ensure you send them a short thank you message by mail the next day. Accompany the thank you letter with a gift like a discount on future projects or even free how-to guides related to the services rendered to them. Your clients will feel cherished and may tell your friends about your services. Word of mouth referrals have always been best marketing techniques. Also direct customers to leave a review on Google or Yelp if they had a good experience. Consider creating a business card or leave behind with this information on it so they know how to do it once you leave. Positive reviews can pay big dividends in getting new business. In the thank-you emails, ask your clients if everything is working correctly. Also, ask them about their ratification levels and where you need to improve regarding service delivery. 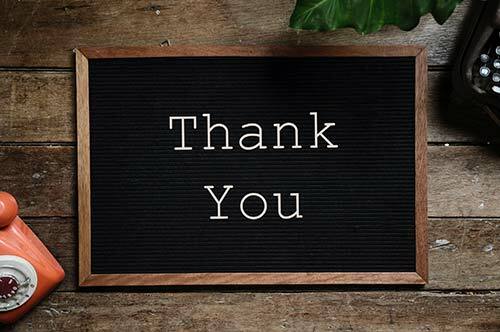 Learning from your clients and thanking them for their reviews about your services will not only improve your service delivery but also bring your clients back whenever they have a plumbing job. Make your potential clients know your brand name by supporting local sports and charity events. Your company can help your community through cash donations to groups that can show your potential customers that you care about them. Marketing a plumbing business can be very intimidating, but we hope these tips have helped in demystifying the entire process. If you realize that your marketing strategies are not delivering, don’t give up. Instead, continue trying, even if you have to switch tactics. When everything is not working, put yourself in the shoes of your customers to get a better picture of how they view your ads. Depending on the site of your plumbing company, you may or may not have a personal assistant or secretary to handle your incoming calls. If you don’t, you need to make sure your voicemail is set up, and set up properly. Has a friendly greeting. If you can’t record one, get someone who can. Don’t scare away business with a gruff sounding message. Make sure it clearly states who you are and what you do. Give an alternative number or email address as an emergency way to contact you. Many of these marketing tips for plumbing companies are things you can do yourself. If you get stuck or are just too busy to do this on your own, Findpoint Design is there to help. Contact us to see how we can best work together to help grow your business and keep your calendar booked!